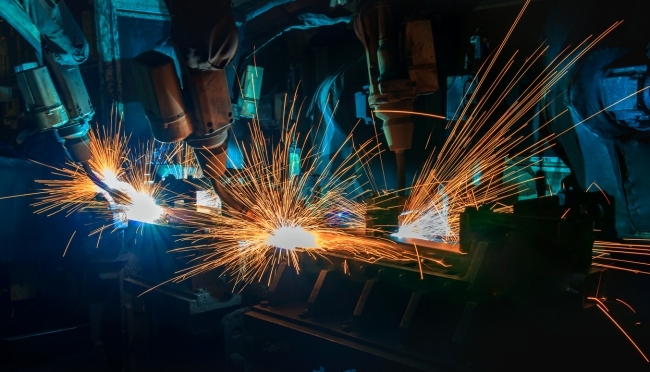 In an article in late 2017, Mike Rigby from Barclays noted that there were four factors which a healthy industrial sector needed to thrive and what 2018 had in store for manufacturing. Here he looks back at Q1, reflects on the distance travelled over the past three months and look ahead to what the immediate future may bring. • and a consistent (or at the very least, predictable) foreign exchange rate to help manage cost control. We came out of 2017 with GDP growing at 2.1%. The final three months of 2017 were down on that at 0.5% growth. We recently saw the Chancellor share predicted growth in 2018 of 1.7% slightly lower than the previous year. In addition, we have employment at a 45-year high with only 1.44 million people unemployed, we have exports rising, our balance of trade falling quite considerably – albeit with some significant swings, and the heat just starting to come out of the stock market. In summary, some early signs of a turning economy. Within Manufacturing we saw one of the core indices confirm this: and the Purchasing Managers’ Index (PMI) hit 56.3 in December 2017 – down from November’s 51-month high of 58.2. This downward trend continued into 2018 January’s PMI falling to 55.3, down to 55.2 in February. According to the CBI’s Industrial Trends Survey, total and export order books for UK manufacturers in December, January and February remained far above the negative long-run average, but didn’t hit the multi-decade highs seen in recent months. The Economic picture, however, is still largely positive, there’s nothing here to be seriously concerned about. UK manufacturing is still experiencing growth and the conversations I’ve had with business owners around the country reflect a sense of optimism and ambition. I was at a meeting a week or so ago when it was summed up as “It still feels good, just not as good as the past two years”. Stability in politics is vital for the industrial sector. That applies to both policies and positions (particularly the Business, International Trade and Transport Secretaries). The political landscape is best-described as relatively stable, but not overly so. We witnessed yet another cabinet reshuffle in January, and – more long term – almost 30 skills reforms in 30 years have likely contributed to the sector’s persistent recruitment challenge. Brexit continues to be a cause of concern, both for importers and exporters. It wasn’t on the boardroom table in 2017 as much, perhaps because it was seen as being too far away, now we’re under a year until the deadline, it is definitely a priority for everyone I speak with. The government does look to be broadly supportive of the manufacturing sector. It’s Industrial Strategy, supported by the Made Smarter Review, was launched to widespread support in November 2017; however, there’s been no real delivery as yet. I, like many, remain keen to hear the details. This feels stable, but not overly so, could equally apply to the business environment. We’ve seen several concerning announcements of late: Carillion and Palmer & Harvey, among many others, going into administration, numerous store closures from established high street chains, and profit guidance from major players such as Interserve and Capita. At the same time, in GKN versus Melrose – whether you agree with it or not – we have the largest manufacturing merger and acquisition (M&A) activity the country has seen for a number of years. Melrose’s current bid is a significant transaction and would suggest to me that there is some confidence that UK manufacturing continues to have a story to tell. 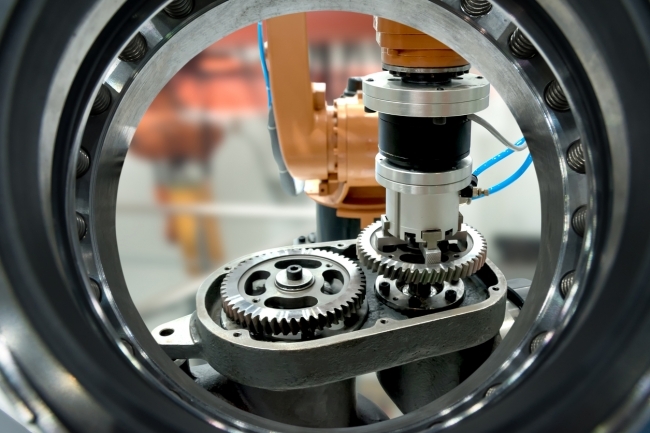 Last year saw several high-profile OEMs announcing sizeable investments in the UK and its resident supply chain, from Toyota Motor Europe and Aston Martin, to Boeing and Liberty House Group. Encouragingly, that trend has continued into 2018. This year we’ve already seen strong announcements and investment decisions made by Rolls-Royce, McLaren Automotive, Bodycote, Omega, Airbus, Bombardier, and British Steel – to name but a handful. There are clearly concerns out there around import/exports, overall business costs rising, falling consumer spending, and recruitment difficulties. Against that backdrop, there are also clear positives. The pace of innovation is fast and the Fourth Industrial Revolution feels very visible. Innovation is rife across the sector and we’re seeing some really good examples of that in action (which will be discussed further in an upcoming article). Growth and investment are being widely reported, and exports out of the sector are rising – not only to Europe and the US, but to emerging economies such as China and India. My parting comment would be to not let macro factors inhibit you from making your business a success. The Economy is still strong, the Government is supportive, OEM’s are investing so be confident. If your business is in good shape and ripe for investment, then you should be making those investment decisions. As we saw through 2008, 2009 and 2010, those that continued to invest are now in better shape than those that didn’t.